I have been trying everything the internet wants me to try to remove this lock. I've stuck a hex bit inside the little hex thing in the picture below and spun in every direction and still the handle won't come off. I've tried putting the key in and turning slightly past the normal spot. And I've tried prying the backing plate off as far as it can go in hopes of finding some sort of hidden "catch" or latch or some other item. The lock will not come off. Any thoughts on what I can try next? Not sure why the grub screws don't help you get the handles off... maybe they're stripped? But you should be able to pry the interior backing plate (rosette) off and get access to screws underneath. If the handles aren't off and the plate doesn't come off all the way, it'll be awkward. 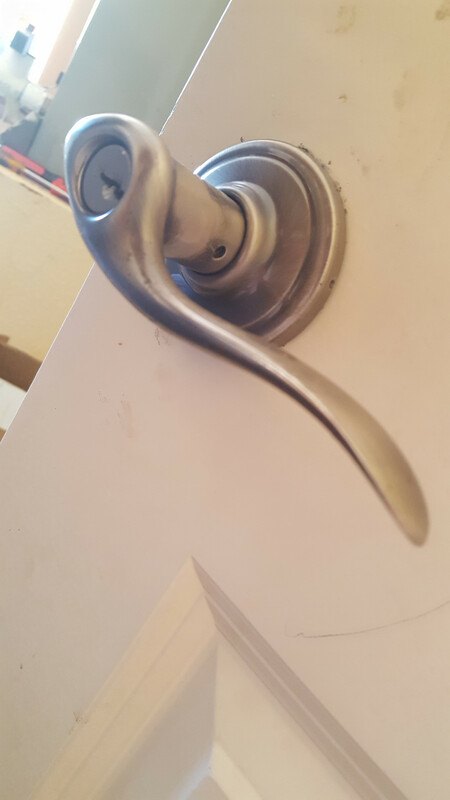 Pull handle off (may have to tap or wiggle handle to get it to come off). Use a flathead screwdriver to pry the escutcheon (rose, rosette) off (pry right near the dimple, to release the rose). Once free, slide the escutcheon off. Remove the screws that were hidden. Not the answer you're looking for? Browse other questions tagged lock or ask your own question. How so I fix a loose Kwikset deadbolt faceplate? How do I disable a locking door latch? How can I remove a jammed, broken key from a lock? 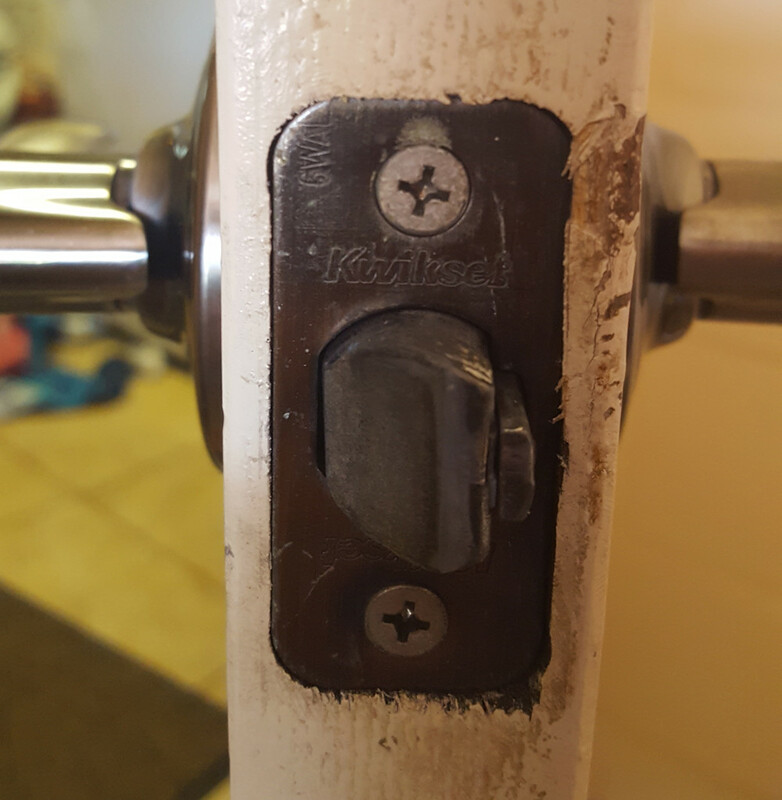 How do I repair latch lock that has unscrewed? How can I remove the interior side of a Kwikset handle set with “interconnect”? 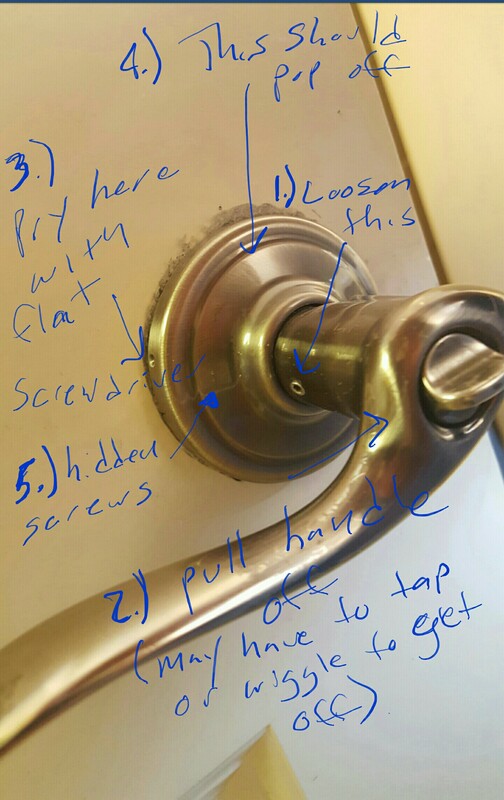 How to stop door knob latch from twisting and sticking on strike plate? can cylindrical and mortise locks be keyed alike? 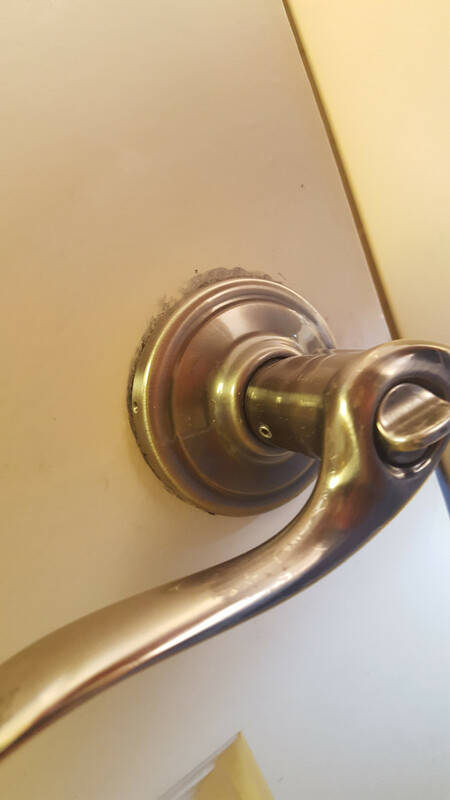 How to remove this broken latch and handles?